The day of your wedding won’t be that enjoyable and unforgettable without your guests that include the loving friends and family members. One of the key ways to express your thanks are the wedding favors– they are meaningful and will definitely make them have the nice memories. 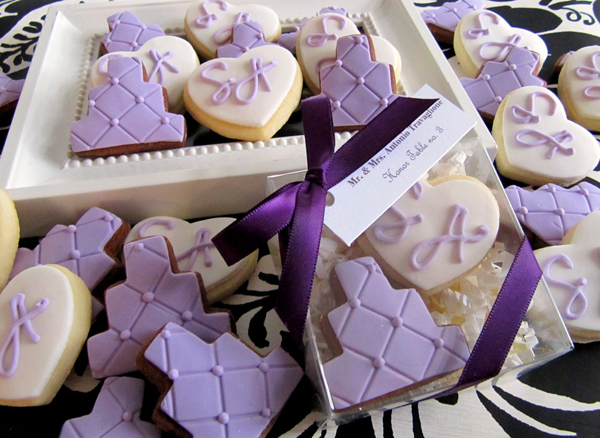 Giving the wedding favors to your guests is a good old tradition that is growing over the last years. Nowadays couples are not afraid of using their creativity and tend to present unique and personal wedding favors. There are no established etiquette rules on wedding favors, but these guidelines will help you at least get started. First of all, remember that the wedding favors are not the essential element of the wedding, they are just the nice way to thank your guests for attending and provide them with the lasting memory about your wedding. So, if you have the limited budget, you may just skip this point. 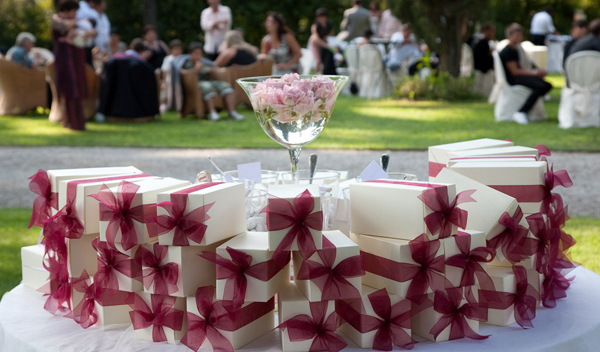 In fact, favors are not necessarily unique or expensive, all that counts is the appreciation to the guests you give along with the favors. In the process of selecting the favor, try to demonstrate a bit originality and opt for the favors that would be meaningful to your couple. Another option is picking the favors in conformity with your wedding theme. 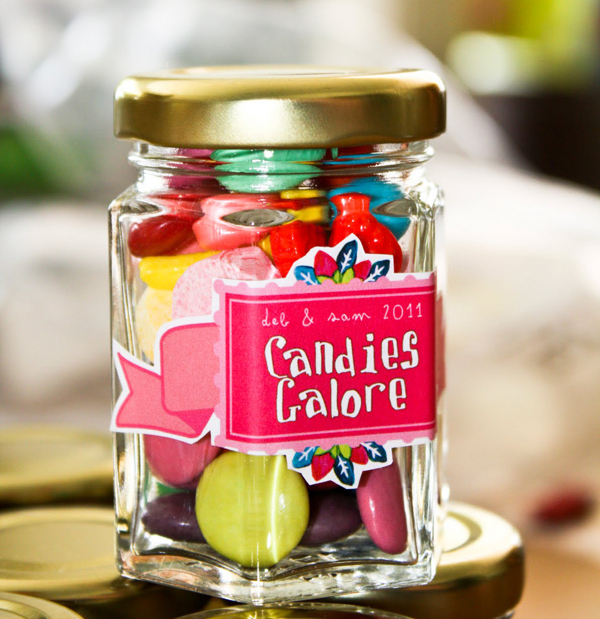 Personalized favors get more and more popular since it is an ideal way to add the person touch to your wedding. Search the web for the latest trends on favors and get inspired, but make sure to be unique with yours. As I said before, the budget plays the key role in choosing certain wedding favors. Some couples opt for the inexpensive presents, while others prefer giving the more pricy ones to each couple or family. However, it doesn’t matter whether you prefer to give one favor each guest or per couple, keep extra wedding favors since some guests may take home extra favors or you may have unexpected attendants. There is also a practice to send the favors to people that were not able to attend the reception. In case you decide to give one favor per guest, put each gift at each place setting or make it a part of the centerpiece composition. If you want to provide each couple with the favor, place them labeled with the family’s name on the table in order for the guests to pick them up while entering the reception. Keep in mind that it is not necessarily to spend the significant part of your wedding budget on the favors- it can be the handmade paper booklet that would show the way the couple met. The true purpose of the wedding favors is the meaning behind the gift and the lasting memories about your wedding for the guests. Remember, the custom labels, personalized ribbon or hang tags will automatically add your wedding favors the personalized touch. If you are not looking for the personalized gift, then the small inexpensive gift in the nice box is the way to go. Place card holders and the picture frames are probably the most practical favors that guests can take home. As a rule, children get the same wedding favors as the adults, but maybe you would want to prepare the special gifts for the small attendants. In this case you may have your favorite candy wrapped in the cellophane bag with adding the personalized label with the meaningful phrase or give the personalized cookies. By the way, you may differentiate the wedding favors for adults by the gender criteria if you cannot think of the items that will please both men and women. 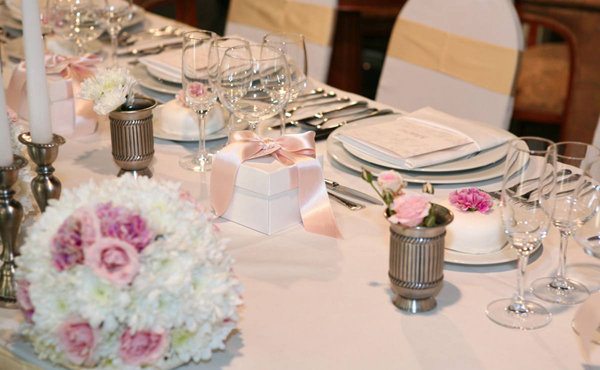 Wedding favors usually are the part of the table decorations just like flowers, settings and linen. It is the way of saying thank to those people who come to share the day of your wedding with you, so the presentation is not less significant than the gift itself. And the last but not least, try to plan ahead. 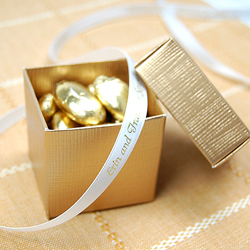 It doesn’t matter whether you are inviting 20 people or 200 guests, find the perfect wedding favors require some time. Look in the different retail stores, online sites and other options. Believe me, you will be able to find the favors of your dream if you make some efforts and plan accordingly. Remember, details make the entire wedding so don’t forget to add this finishing touch to your wedding day.